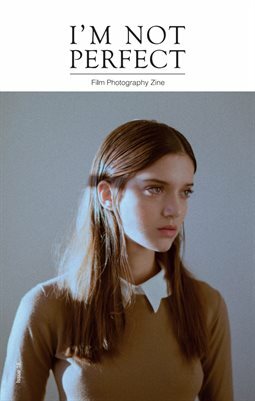 Magazine content, 56 pages, featuring photographers: CAYETANO GONZÁLEZ CAPELLA; HANNAH PRIZEMAN; JOHANNA SIMON DEBLON; GENNELLE CRUZ; FILIPE DOMINGUES; SEBASTIANELE; MAXWELL SHOOTS; BILLY MANCHUCK; ALEXANDRE ROCHARD; PETR NOVAK; QUENTIN SIMON; SARUNAS MILASEVICIUS and JESS BROHIER. I’m Not Perfect Zine is a film photography magazine for photographers, fans and all of those who don’t like perfection. Is an independent zine, since November of 2012. For any enquiry, submissions or advertising, please email us.